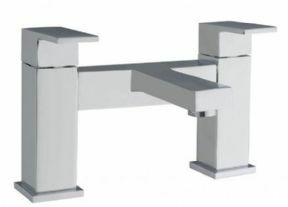 The Lincoln Bath Filler from Infinity is a deck mounted bath tap with a spout projection of 129mm. This modern mixer tap has thin rectangular handles and a stunning chrome finish, allowing the colour to literally shine. Infinity have created this tap with durability in mind as it boasts ceramic disc technology to prevent dripping. Ceramic discs have been introduced to replace rubber washes which were prone to cracking and were common in old taps. With old taps you'd screw the head into the body and the rubber washer would eventually wear out. This would mean that you'd have to screw the tap tighter and tighter to operate it. Unlike rubber washers, ceramic discs only require ¼ turn of the tap to work, so will not wear out. This versatile tap is suitable for use with all plumbing systems. It does, however, require a minimum 0.1 bar pressure system which will give you an output of 1.3 litres per minute. 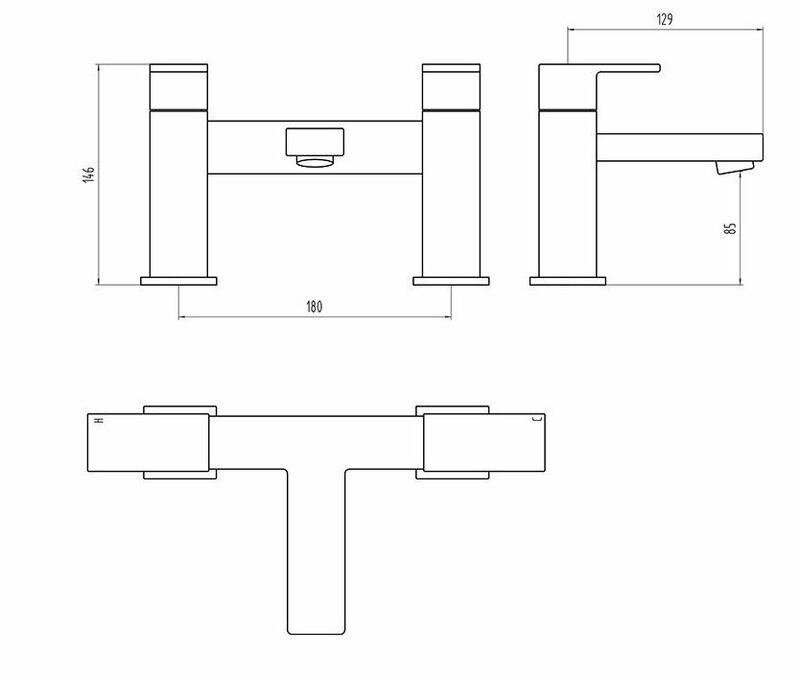 The tap is suitable for a maximum 3 bar system which will provide an output of 33.2 litres per minute. When purchasing from Infinity you can shop with confidence as their bath taps have WRAS approved water fittings and come with a 5 year guarantee.